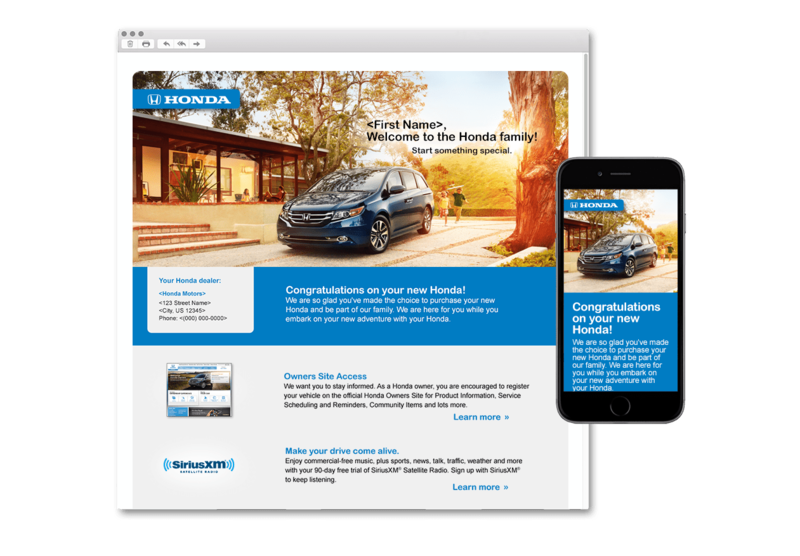 A new pilot program for American Honda Motors, Honda Owners Lifecycle Communications (HOLC) focuses on building a stronger relationship with all new and certified pre-owned vehicle owners and lessees through targeted, personalized and highly variable digital and print communications. 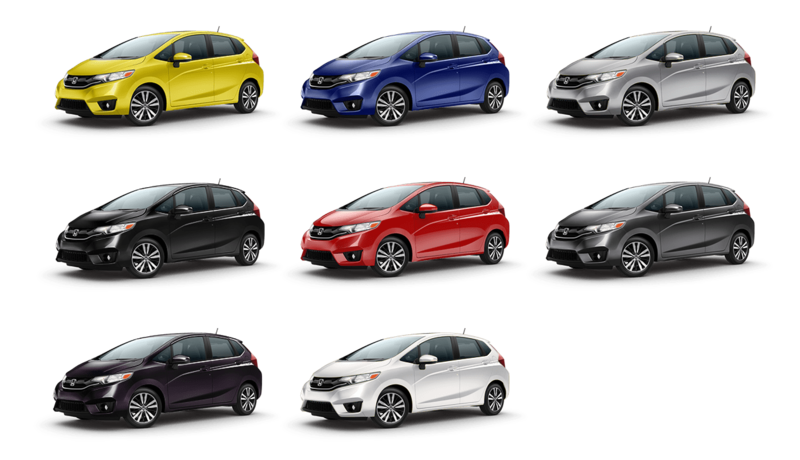 The program also brings together other divisions of American Honda Motors to educate owners and lessees about all the diverse brand has to offer, from Power Equipment to HondaJet. Shortly after the program launched, the client wanted to bring a Creative Director on board to guide the creative strategy and implementation while working with the client directly. I hit the ground running, working to correct oversights, reposition the creative direction and launch new variable communications. I quickly identified areas where we could streamline production, and worked with vendors to standardize processes and elevate quality. I also directed creative teams in Irvine, CA and Farmington Hills, MI to improve creativity and workflow. 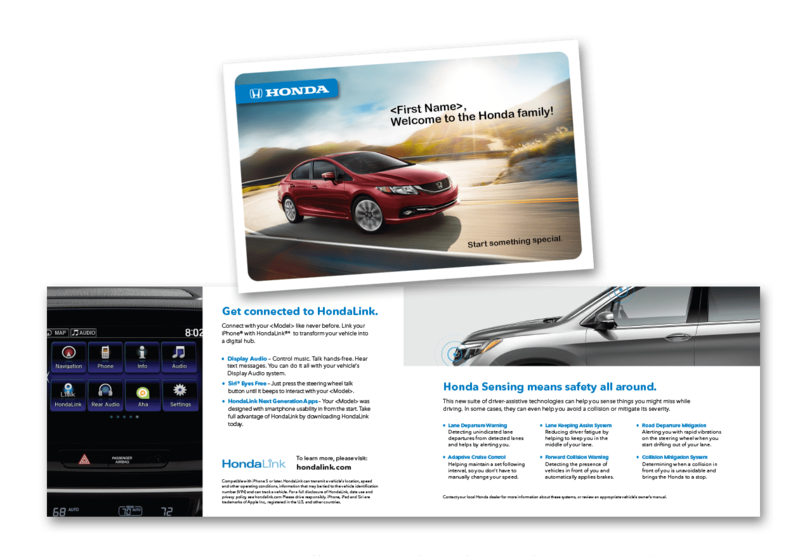 The client was amazed at the creative concepts I had pitched and the quality improvements, from an environmental communication printed on seed paper to an experiential digital campaign enabling recipients to create their own personalized eCards with their photos and an image of their Honda with variably matched paint color. The client also was impressed by the solutions I devised for further improving current communications based on customer surveys and focus group feedback. Under my creative management, the program has started to show sizable increases in sales lift versus control group in just two years from launch.